The Spiridon Single Hanging Lamp by Eichholtz combines a beautiful white glass split orb and an antique brass finish to create an innovative, contemporary light fitting perfect for smaller spaces, as accent lighting or clustered to create a unique lighting scheme for larger venues and homes. Renowned for sourcing the finest inspirational designs created with the highest quality materials and craftsmanship, Eichholtz deliver some of the most exquisite, elegant yet practical and versatile accessories which have been carefully curated from around the world. The Spiridon Single Hanging Lamp is a perfect example of this passion for beautiful things and offers an effortless sense of style and sophistication which will complement a range of contemporary interior design schemes. The height adjustable fitting is also a useful option for a range of ceilings and rooms. 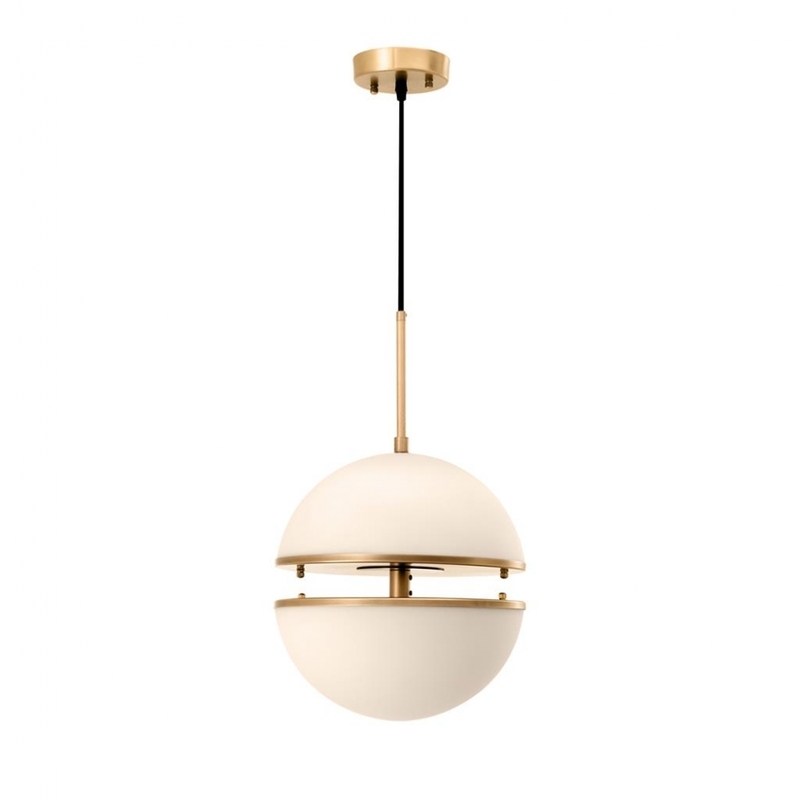 Ideal at home in a narrow hallway or as accent lighting for a dining or sitting room or introduce the Spiridon Single Hanging Lamp in even spaced groups at different heights as an inspired and intriguing focal point to illuminate a cocktail bar or restaurant ceiling. Here at Uber, we have an extensive directory of Eichholtz luxury homewares and other, similarly high quality interior brands to choose from. Why not contact our expert interior design team for further details and inspiration to help you find the perfect curated collection for your next home, yacht, bar or hotel design project?